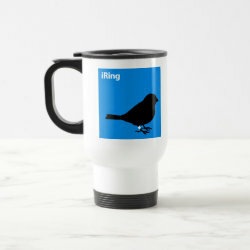 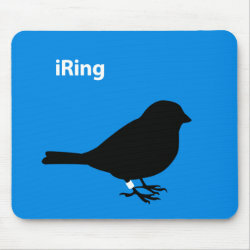 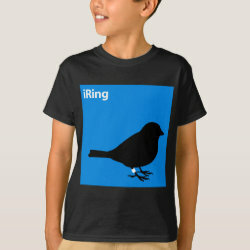 This is a cool spoof design for bird ringers everywhere! 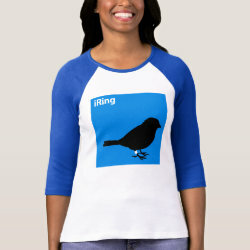 Instead of the familiar dancing person silhouette from the iPod ads, here a passerine is More... shown in black on a blue background. 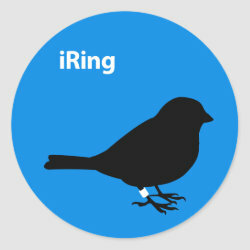 There's no music device here, other than the bird -- the white object is the new bling (ring) the bird now sports.